This will help to finance another trip to Utrecht and allow me to buy more singles now that the pound has parity with the Euro, so don't hold back! 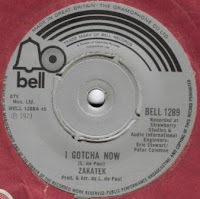 Zakatek is in fact Lenny Zakatek who later became lead singer with Gonzalez. Here he is as discovered by Linsey De Paul and Dudley Moore!!!! Linsey wrote and produced I Gotcha Now and it features her usual stomping piano motif along with some nice heavy Fuzz, Lenny’s vocals then enter the fray in sand paper mode, before the baroque cellos hit the scene and the track turns into some form of Eurovision version of I Am The Walrus. By the end it sounds like they have a prominent Harmonium part playing bass notes with some surprising oscillating effects on top. 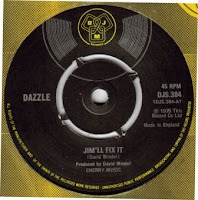 Psychedelic Groovy fuzzed-out Glam heaven?..Nearly! Continuing our unofficial series of “records that sound just like The Kinks”, I present to you as evidence the B side of this single. Apart from the Scandinavian slant of the vocals, the illusion of late 60s Kinks is perfect and a great companion piece to Bone’s Everybody’s Gone Into April (December 16th 2008 posting). 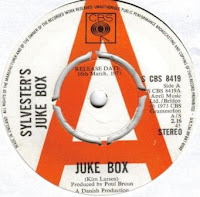 Sylvester’s Juke Box is in fact an off-shoot project by the mighty Kim Larsen from the mighty Danish Rock kings GASOLIN! If anything, be sure to check out Rabalderstraede (AKA What A lemon), for a pillaging -no- mercy-shown-Viking take on Hanky Panky!!!. Juke Box is a strange choice for an A side as it’s a melodic semi-instrumental with a nice 12 string acoustic theme. The drums and backing vocals kick in just at the right time and it ends up being pretty hooky affair in its own right. Words fail me when it comes this little baby. Hearing is believing; so make sure you check out the lyrics and play it all the way through. It Ain’t Easy got some airplay at the time, but remains a complete mystery to this day. I was wondering if there could have been an Italian connection as it came out on Odeon in Italy and one of the writers must have been Italian (G. Uccillino), however it is a Phoenix production so it looks like a UK job. Enjoy! Thanks to Bob at http://www.7tt77.co.uk/ for turning me on to this release in the first place and to Jon for finally securing me a copy. 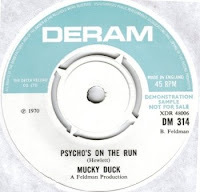 Phoenix was a strange label; home to Spunky Spider, the label also released singles by beat artists beyond their sell by dates (The Fourmost in 1972, Helen Shapiro…), mainstream folk (Weavers Green) and oddball one-offs, such as this one. 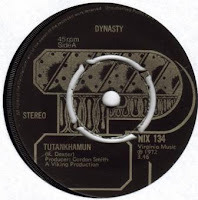 If you thought this Phoenix single was weird, wait until our next instalment of the Phoenix saga where we really put the Q into quirky…. Stashed on the B side of a weak Gallagher & Lyle tune, you can find this nifty little rocker. Although it doesn’t quite live up to its title, it sports a cool guitar hook and rocks along at good speed with fun lyrics. Sometimes it’s hard to categorise some of these singles. 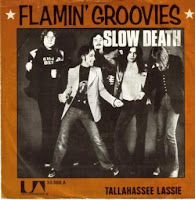 This track is neither totally Boogie, Glam, Bubblegum or Freakbeat, but it carries elements of all those genres. I guess “early 70s rock with an edge” will have to suffice. Great band name anyhow…I wonder if they were related to Spunky Spider? God, I don’t remember the theme tune to Sir Jimmy Saville’s show rocking quite this hard, but perhaps some of you could confirm if this was the original theme as heard at tea time on Saturdays? This is a pretty raucous and punked out affair anyhow with some storming guitar. At some point this version got replaced by a more anodyne version, which featured a nice line in sub-Pet Sounds Wouldn’t It Be Nice-style vocalisations. Come within for a dose of absurd Junkshop Bowie-ness . 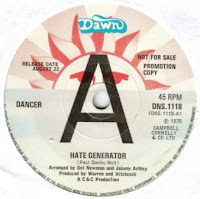 Hate Generator is pure ersatz Bowie much in the same vein as The Tigers On Vaseline. The vocals are just as weird and a real hoot, but the chorus is great and the analogue keyboards are pretty groovy too. 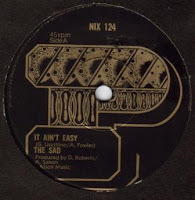 The production and arrangement give the track an extra over-blown feel and the result is a totally bonkers tour-de-force...I couldn’t find any information on Paul Davies Holt who wrote and probably sang both sides or if he recorded anything else.